Train stations and ports face numerous, significant obstacles in communicating to its entire facility if an emergency occurs. Multiple terminals, each consisting of airport employees and storefront tenants, make for a potentially large group and geographic area to cover in the event of an emergency. A high volume of travelers and visitors make maintaining a comprehensive database of contacts nearly impossible. Not all occupants can be accounted for, as there is no easy way to register travelers, family, friends, and employees who are at either a train station or port on any given day. These challenges have left these areas of critical infrastructure few options to notify everyone during an emergency. With the Alertus System, these facilities can now reliably and consistently reach a large population across an expansive footprint. Alertus Technologies recognizes that locations like train stations and ports face a unique set of challenges when trying to communicate with travelers, visitors, employees, and contract workers during a disaster event. 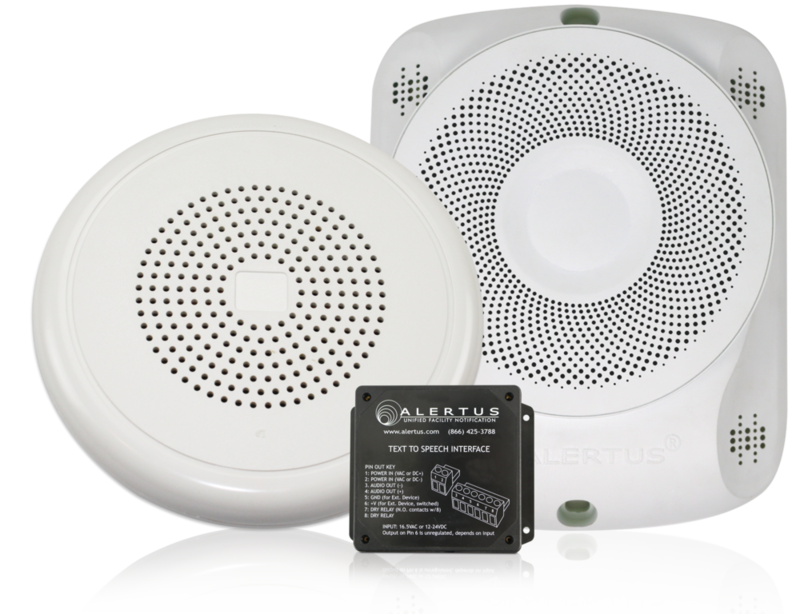 Alertus offers a unique solution that includes products that solve these issues and ultimately save lives in any emergency. Facilities of critical infrastructure use digital signage and cable TV systems to transmit communications in public and high-occupancy areas such as waiting areas, entry points, and throughout terminals. 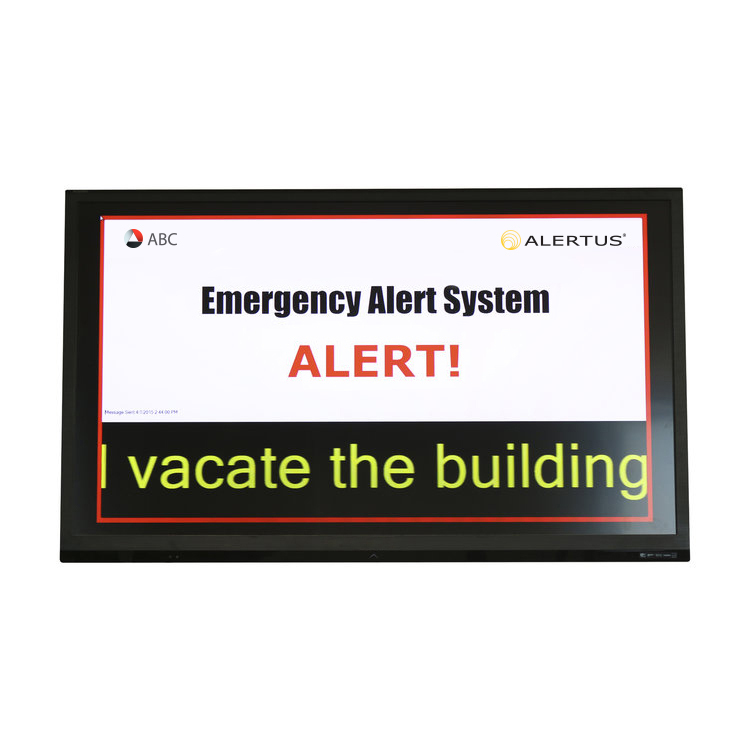 Alertus’ solutions transform these devices into intelligent emergency alerting appliances, and when activated, emergency alerts scroll across digital signage and can be easily read from a distance. With the Alertus System, airports can transform digital displays (such as train information display systems) into effective alerting endpoints that are part of a complete, integrated emergency communications system. PA System (Text-to-Speech Interface) enables centralized command and control of public address systems where it can dictate what facilities receive emergency messages. Remote activation is available without physically being at a specific location or on-site. Two-Way Radios can instantly override two-way radio systems with an emergency message for airport employees and ground crews to respond. The Alertus Activator App allows users to quickly activate the Alertus System via Android or iOS tablets or smart phones. Launching an alert via the app activates notification alerts to all integrated products. Individuals who download the Alertus Recipient App can receive push notifications and quickly send geo-targeted incident reports to emergency management personnel.